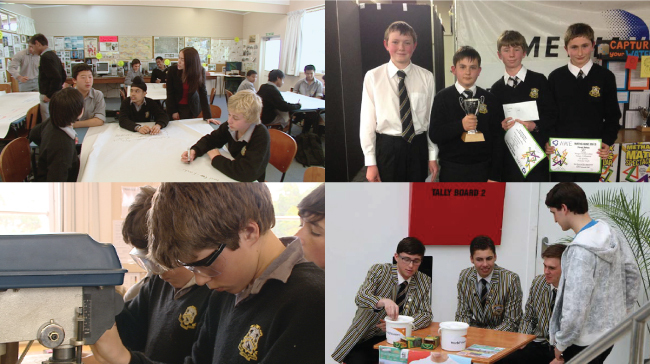 A traditional but modern boy’s secondary school in the New Plymouth city centre, high quality education raising male results in the national exams. Special internal programmes: Outdoor education, pathways available through Western Institute of Technology and Pacific International Hotel Management School, member of Super 8 collective the top New Zealand boys schools that compete in many sporting codes. The school offers a broad-based curriculum, including opportunities through local institutes of technology. Students receive sound careers advice to support their subject and future pathway choices. The school is well placed to sustain and continuously improve its performance. Trustees provide sound governance. Effective policies and practices support the social integration and academic learning programmes of the school’s international students. 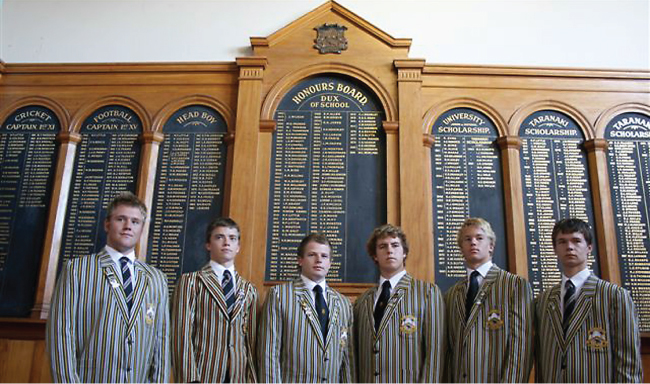 New Plymouth Boys High School is a large, modern secondary school that has maintained the best qualities of its history and tradition. It has fashioned for itself, over the past 132 years, a reputation for excellence in the many facets of schooling. New Plymouth Boys’ High School is a visually striking school, which incorporates a mix of older and modern buildings on a spectacular 15 hectare site. Its attractive, park-like setting, with its impressive facilities, is home to 170 boarding students and nearly 1250 boys in total. Self-confidence and self-respect. All of this is only possible in an atmosphere that is conducive to learning and developing talent as well as encouraging an appreciation of excellence and the value of hard work. As a school we seek to “engage” the boys in all activities. The 2014 Education Review Office Review made independent comments that attest to NPBHS as a school very worthy of its reputation for quality education. Close tracking, monitoring and guidance are having a positive impact on achievement. Many students achieve merit and excellence endorsements and success in scholarship examinations. A roll of 1240 students, 85 teachers and support staff of 43. A wide range of classes open to all boys. An extensive, well maintained property of 35 acres comprising impressive ridges and valleys and a large complex of buildings. Its own experienced, resourceful and hard-working Board of Trustees. A large and busy Parent Teacher Association. An enthusiastic network of supportive and influential old boys. Strong community links with on-going consultation. The practice of regular and effective self-help. A record of encouraging the giving of time, talent, money and materials to enhance the school and its performance (for the benefit of its students). In an environment of integrity and respect, NPBHS engages and prepares, confident and educated young men. Provide each boy with an education of the highest quality. Encourage each boy to participate, and to strive for excellence, across the full range of school life: Academic, sporting, cultural and civic. Ensure that each boy to develop responsibility, leadership skills and a positive work ethic, so fostering student’s confidence and skills in relates to others. Prepare each boy as a life-long learner in an ever-changing and culturally diverse world. Ensure that the school is a community where honestly, integrity and respect for others are valued, so that each boy learns the importance of citizenship, tolerance and an understanding of others. Provide a safe, and attractive learning and living environment that caters specifically to the needs of boys. Affirm school commitment to the educational success of tangata whenua. New Plymouth Boys High School is situated in the city of New Plymouth, Taranaki region. The city of New Plymouth has earnt the World Health Organisation’s “International Safe Community” designation. Students can be assured of being in a safe community living in New Plymouth. New Plymouth City was voted in 2008 the best city in the world to live and to play having a population of under 100,000 people. Taranaki region is the blend of natural beauty, attractions and activities and is becoming more well-known with an increasing number of visitors. The popular places such as Mount Taranaki, White Cliffs Coastline, Surfing, etc. 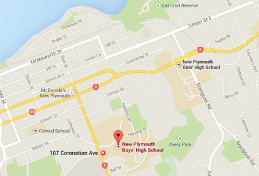 New Plymouth Boys High School A student advisor will be in contact within one working day.